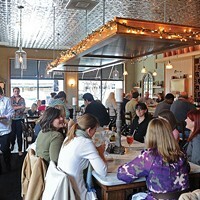 15 Bites | 2012 State of the Plate | Style Weekly - Richmond, VA local news, arts, and events. 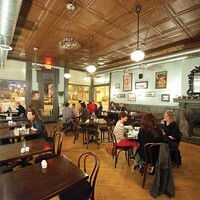 Food that sticks with us. 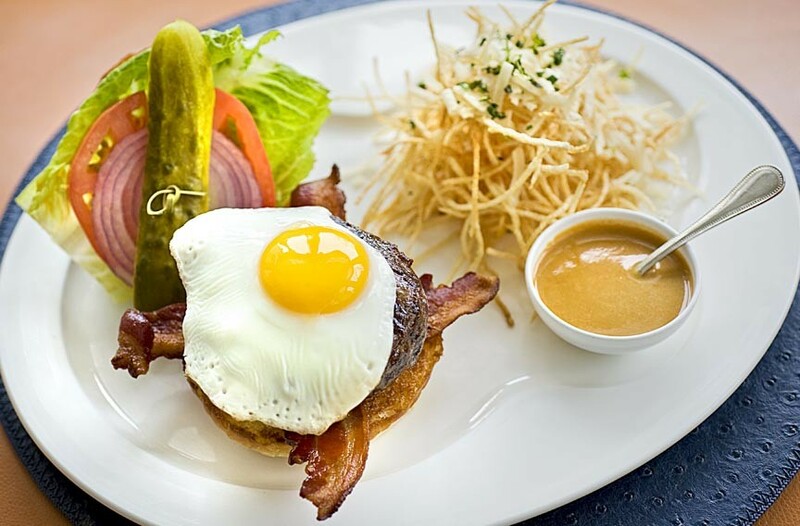 Barnyard burger at Lemaire: An affordable indulgence ($17), this burger has bacon, a sunny-side-up egg, cheddar and foie gras sauce. 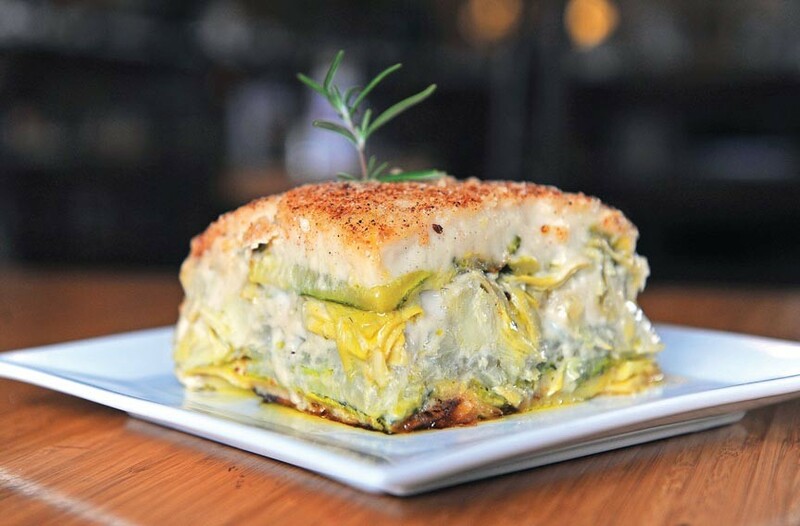 Artichoke moussaka at Stella's: Layers of eggplant, potatoes and caramelized onions straddle the line between hearty and overwhelming, and continue to delight with leftovers. 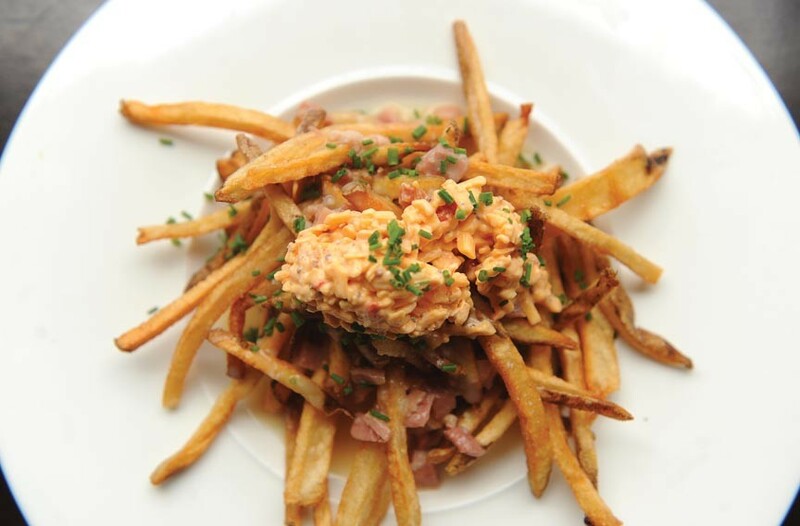 Southern poutine at the Roosevelt: Southern-Quebecois fusion places sharp pimento cheese atop crispy fries and ham gravy. 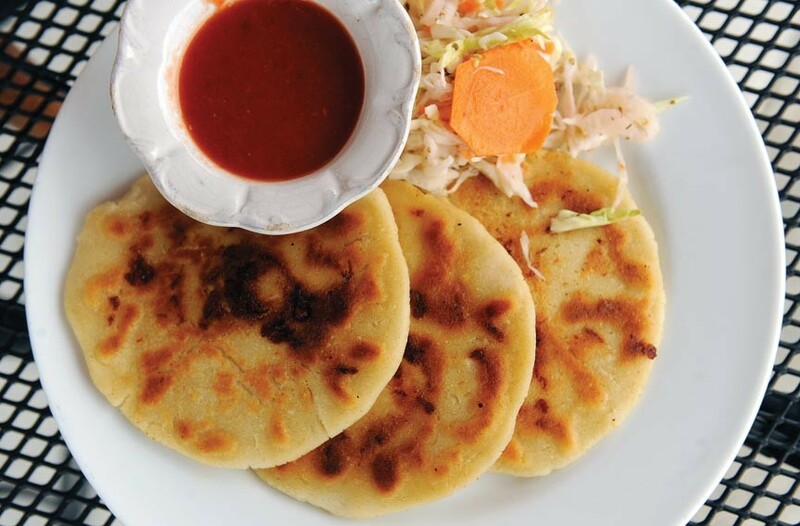 Pupusas at Rocoto: Secret Salvadoran family recipe with homemade corn tortillas and piquant fillings. 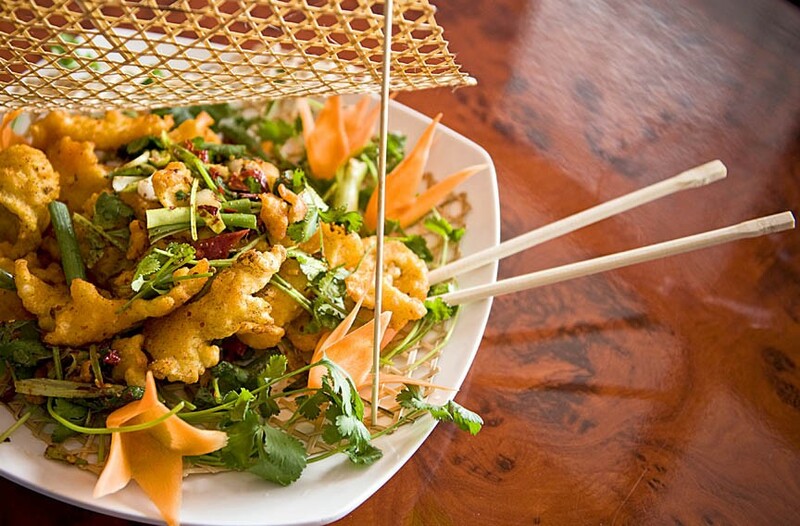 Bamboo fish at Peter Chang is sliced and fried with cumin powder, pepper powder, scallions and cilantro. 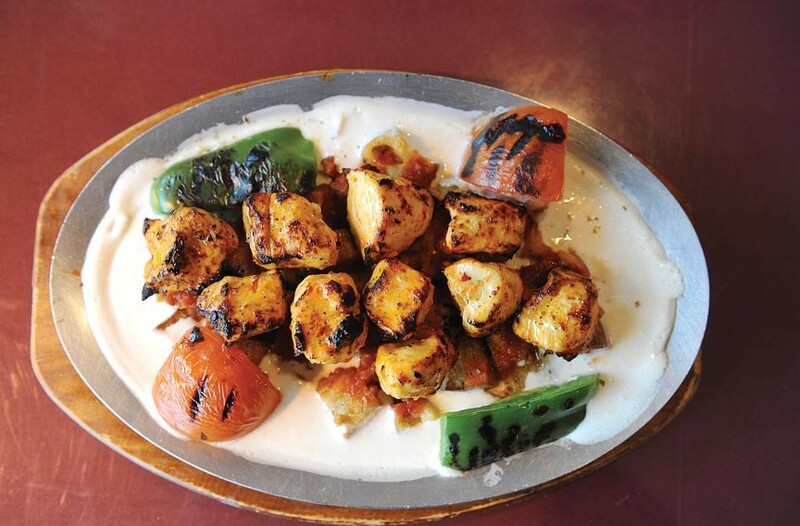 Yogurtlu chicken kebab at Anatolia Grill: Perfectly grilled meat accompanied by buttery fried bread, tangy yogurt and tomato sauce. 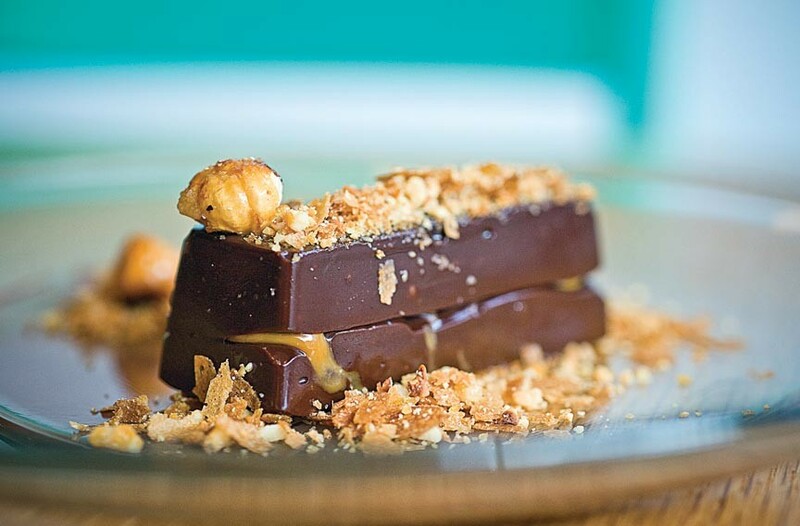 Candy bar at Pasture: An almost fudgelike dessert with hazelnut crunch for textural contrast. 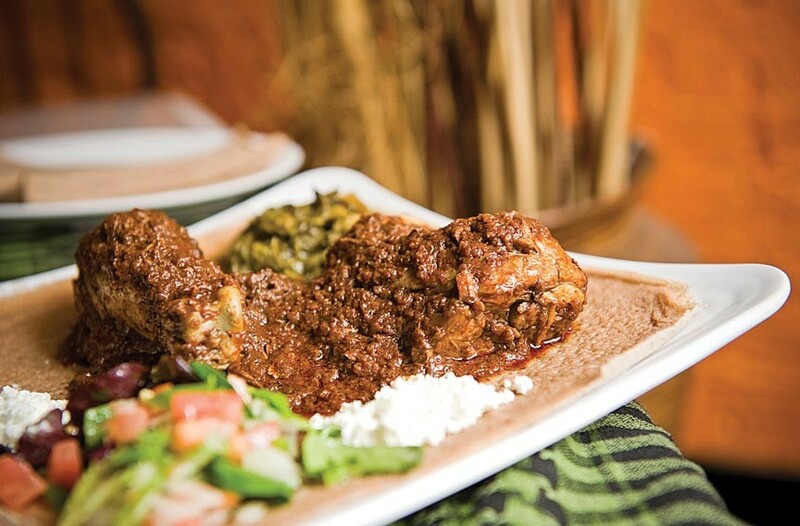 Doro wat at the Nile: Tender, slow-cooked chicken stewed in a complex and memorable berbere-based sauce. 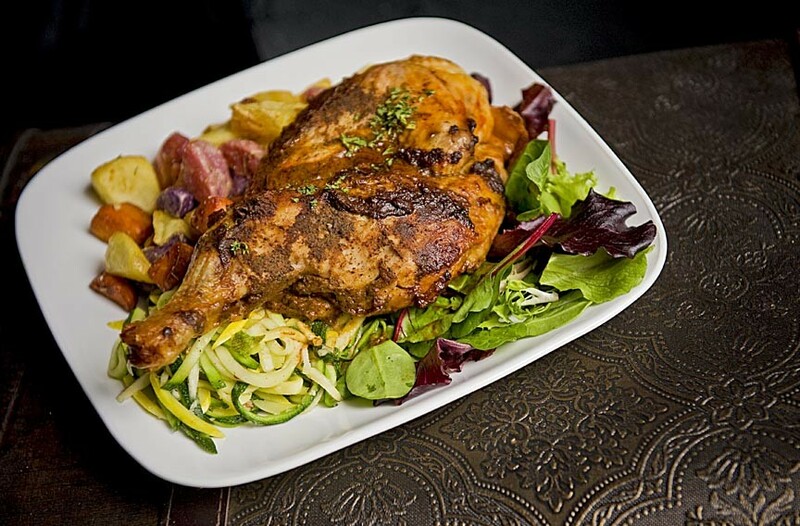 Peruvian chicken at the Cellar Door: Long marinated and tasting of paprika and cumin, this chicken is all flavor in a sandwich, salad or half-bird. 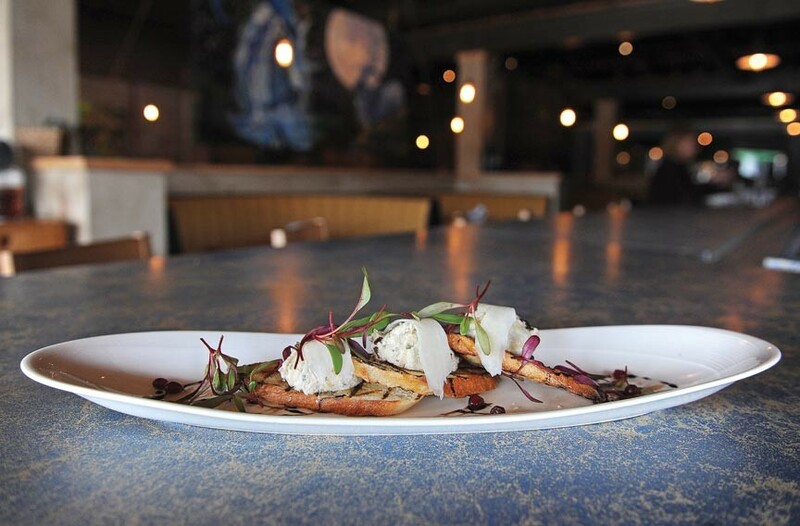 Rabbit pâté at the Blue Goat: Texturally pleasing, exceptionally balanced and plated, this makes it easy for anyone to get down with the bunny. 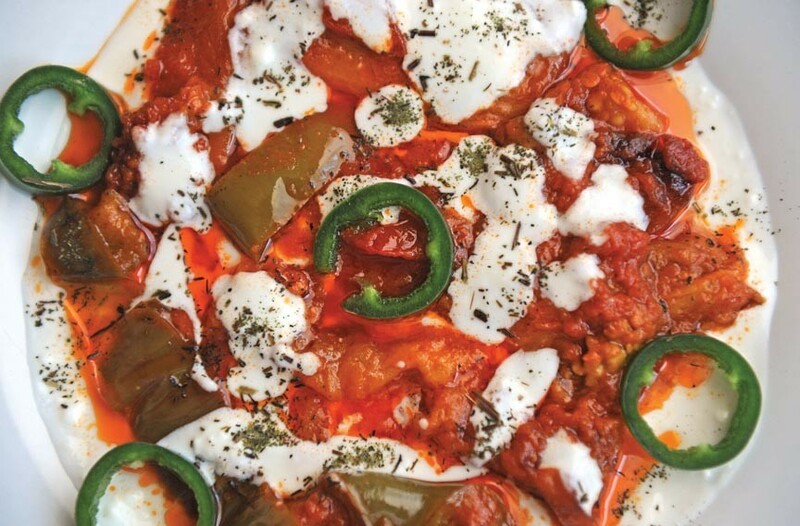 Bouranee baunjaun at the Box: Tender eggplant ribbons swimming in oil and yogurt, topped with spicy tomato sauce. 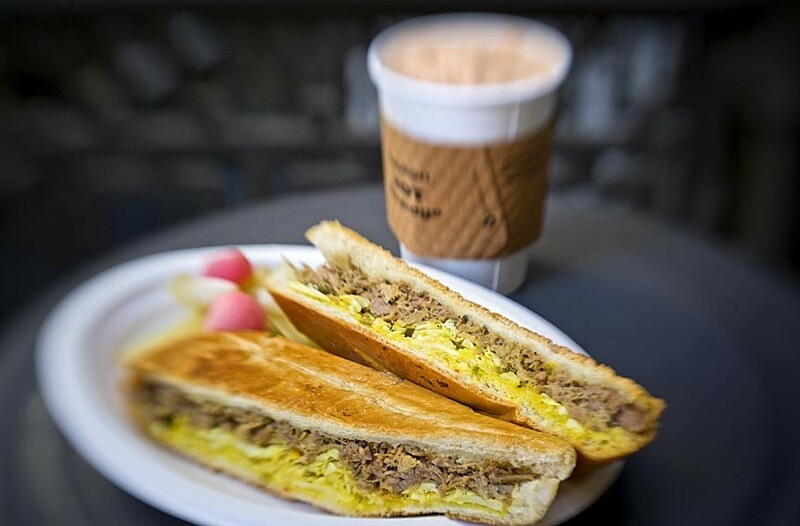 Pulled pork with cabbage relish at Citizen: Slow-roasted pig and a sweet-and-sour, mustard-based relish set off this grilled sandwich to perfection. 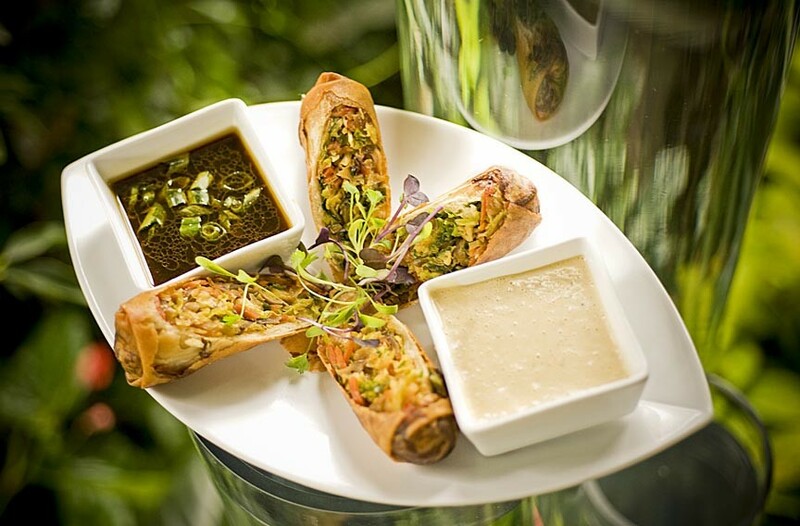 Vegetarian spring rolls at Selba: Well-seasoned vegetable filling, crispy pastry and delicious ponzu-soy and pineapple rèmoulade dipping sauces make these sing. 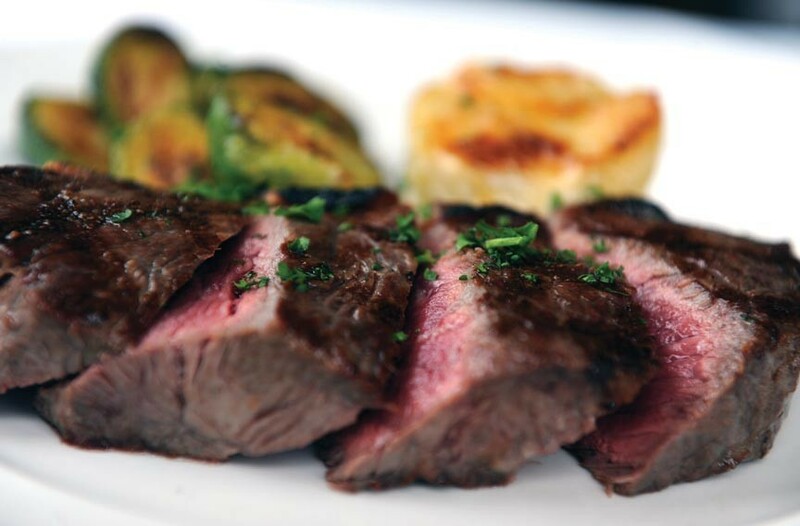 Braveheart beef at Arcadia makes an amazing steak, shown here with rosemary and shallot-roasted brussels sprouts and potato pavé. 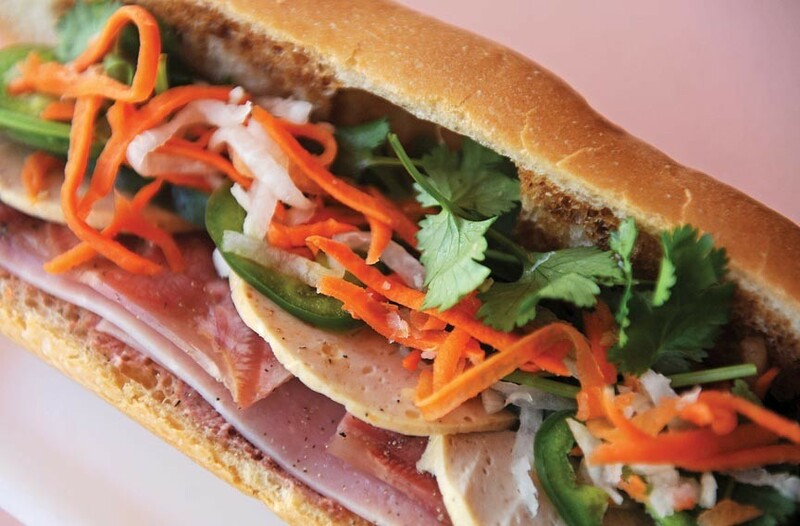 Banh mi at Catina: Authentic Vietnamese wheat-rice flour baguette stuffed with rich meat, crunchy cucumbers, fragrant cilantro and the heat of jalapeño.